After several tireless days, we have finished crunching the numbers from the more than 700 13F filings issued by the elite hedge funds and other investment firms that we track at Insider Monkey, which disclosed those firms’ equity portfolios as of September 30. The results of that effort will be put on display in this article, as we share valuable insight into the smart money sentiment towards Civeo Corporation (Canada) (NYSE:CVEO). Civeo Corporation (Canada) (NYSE:CVEO) shares haven’t seen a lot of action during the third quarter. Overall, hedge fund sentiment was unchanged. The stock was in 12 hedge funds’ portfolios at the end of September. Our calculations show that the company was not one of the 30 most popular stocks among hedge funds. The level and the change in hedge fund popularity aren’t the only variables you need to analyze to decipher hedge funds’ perspectives. A stock may witness a boost in popularity but it may still be less popular than similarly priced stocks. That’s why at the end of this article we will examine companies such as DXP Enterprises Inc (NASDAQ:DXPE), and to gather more data points. To the average investor, there are several formulas stock market investors use to analyze their stock investments. A couple of the best formulas are hedge fund and insider trading moves. Our experts have shown that, historically, those who follow the best picks of the elite investment managers can beat their index-focused peers by a significant margin (see the details here). “Civeo Corp. provides temporary accommodations and hospitality services in remote areas, primarily to the oil services industry in Canada and the US, and the metallurgical coal industry in Australia. These are typically under multi-year contracts. Both markets have suffered meaningfully due to declining commodity prices, which forced producers to cut back on the capital expenditures that are the key drivers for Civeo’s business (resource development projects, infrastructure buildouts, among others). As a result, earnings have fallen dramatically – even revenues in 2016 were down almost two-thirds since 2012 – in turn causing balance sheet concerns due to relatively high leverage (debt was equal to 4.4x EBITDA as of 9/30/2017). The share price declined by more than 90% between late 2014 and early 2016. Let’s check out the recent hedge fund action encompassing Civeo Corporation (Canada) (NYSE:CVEO). What have hedge funds been doing with Civeo Corporation (Canada) (NYSE:CVEO)? Heading into the fourth quarter of 2018, a total of 12 of the hedge funds tracked by Insider Monkey were long this stock, a change of 0% from the second quarter of 2018. 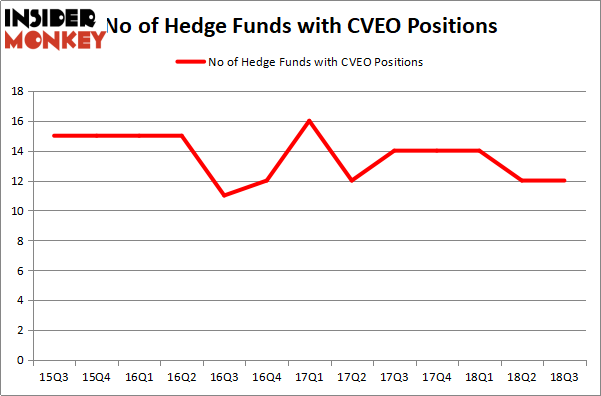 On the other hand, there were a total of 14 hedge funds with a bullish position in CVEO at the beginning of this year. So, let’s see which hedge funds were among the top holders of the stock and which hedge funds were making big moves. More specifically, Horizon Asset Management was the largest shareholder of Civeo Corporation (Canada) (NYSE:CVEO), with a stake worth $173.2 million reported as of the end of September. Trailing Horizon Asset Management was Renaissance Technologies, which amassed a stake valued at $39.8 million. Prescott Group Capital Management, DC Capital Partners, and D E Shaw were also very fond of the stock, giving the stock large weights in their portfolios. Seeing as Civeo Corporation (Canada) (NYSE:CVEO) has experienced declining sentiment from hedge fund managers, it’s safe to say that there was a specific group of funds who sold off their positions entirely by the end of the third quarter. It’s worth mentioning that Israel Englander’s Millennium Management sold off the largest investment of the “upper crust” of funds followed by Insider Monkey, valued at an estimated $1.4 million in stock. Joel Greenblatt’s fund, Gotham Asset Management, also sold off its stock, about $0.2 million worth. These moves are intriguing to say the least, as aggregate hedge fund interest stayed the same (this is a bearish signal in our experience). Let’s check out hedge fund activity in other stocks similar to Civeo Corporation (NYSE:CVEO). We will take a look at DXP Enterprises Inc (NASDAQ:DXPE), Upland Software, Inc. (NASDAQ:UPLD), Changyou.com Limited (NASDAQ:CYOU), and MAG Silver Corporation (NYSE:MAG). This group of stocks’ market values resemble CVEO’s market value. As you can see these stocks had an average of 12.75 hedge funds with bullish positions and the average amount invested in these stocks was $55 million. That figure was $260 million in CVEO’s case. 0 is the most popular stock in this table. On the other hand 0 is the least popular one with only 6 bullish hedge fund positions. Civeo Corporation (Canada) (NYSE:CVEO) is not the least popular stock in this group but hedge fund interest is still below average. This is a slightly negative signal and we’d rather spend our time researching stocks that hedge funds are piling on. In this regard UPLD might be a better candidate to consider a long position. Hedge Funds Aren’t Crazy About FactSet Research Systems Inc. (NYSE:FDS... Is The PNC Financial Services Group, Inc. (PNC) A Good Stock To Buy? 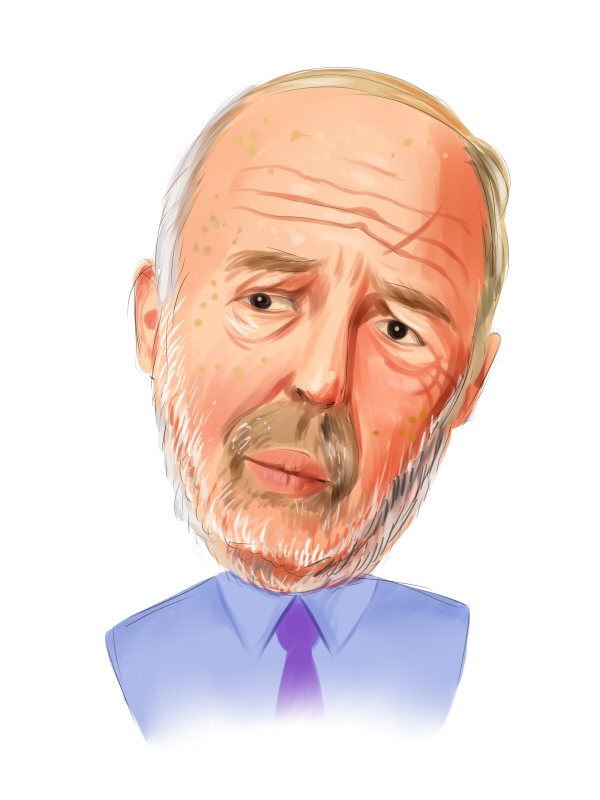 Hedge Funds Are Dumping Gilead Sciences, Inc. (GILD) Hedge Fund Sentiment Is Stagnant On Portland General Electric Company (POR) Is Motorcar Parts of America, Inc. (MPAA) A Good Stock To Buy? Is PotlatchDeltic Corporation (PCH) A Good Stock To Buy?